This wonderful design by Michele Walton was inspired by the American Folk Artist, Peter Ompir. 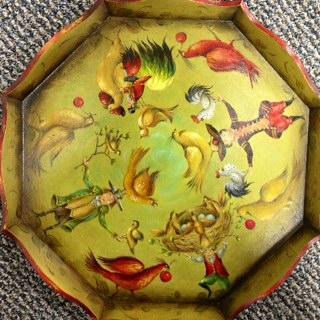 The tray was painted by Bobbie Takashima. The tray measures 16" across. The tray's curved sides are 1 & 1/2" at the highest point.